2 Awards by buyer target (distributors and restaurant owners). Once again in 2018, SIAL Paris will reveal the major consumer trends of tomorrow with 3 daily conferences conducted by Kantar TNS, XTC world Innovation and Gira Conseil! gain access to useful information for your export strategy? World Tour is designed to be a true window on the overall food trade: a world tour of the major retail trends that shape the world markets. Creativity, show and friendly atmosphere are all guaranteed. 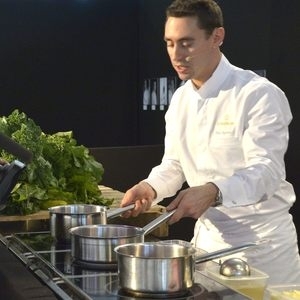 La Cuisine, a culinary demonstration area, operated by famous chefs. And, of course, a profusion of food trends and innovations in the exhibition aisles so that you never run out of ideas! 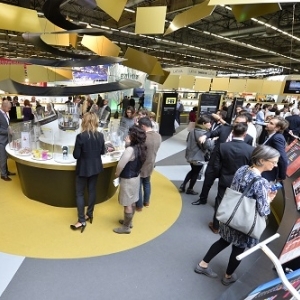 Some 7,200 exhibitors from 119 countries were present in 2018. Trends, innovation and inspiration? A confirmed factor! Why did you attend SIAL Paris? Tom Pullen: Because SIAL is an absolutely essential meeting place in our business! You have to go there at least once to understand what this means. The exhibition area is really impressive and the quantity of stands and products on display are far superior to anything that I have seen elsewhere. So, for a company like ours, completely open to the outside world, SIAL sets us on a very rewarding journey: a world tour of gastronomy and food trends… while still in Paris! What do you remember about this year's exhibition? T. P.: Difficult to choose! But I think that what strikes me most is SIAL’s capability of offering a mixture, an astonishing variety of exhibitors ranging from the standard multinational to the start-up created in a garage. And in what state of mind are you leaving the show? T. P.: A bit tired (laughs)! But with plenty of ideas and avenues for growth in mind and, above all, sources of inspiration to invent the products of tomorrow since SIAL also provides very pertinent analyses of current and future food trends. “Interpreting trends with our clients and suppliers"